Lenovo launched A7000 for a price of INR 8999. 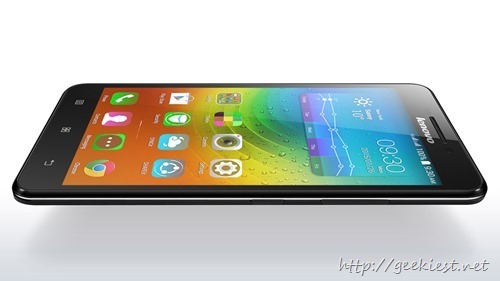 After that they launched Lenovo A6000 Plus which have double the RAM and storage space than the famous A6000 phone. Now the company is announcing another phone which is having a decent specifications with a big battery. Lenovo A5000 is a Dual SIM, Android KitKat phone with 5 inch HD display. It will have a 1.3Ghz quad core processor. The camera on the rear side will be 8 MP with LED flash. The phone supports up to 32 GB of microSD card. Now the best feature of the phone, the battery. This phone will have a big 4000mAh battery, which you can charge with in just 3 hours of time. 15 minutes of charging can give you 4 hours of talk time. Lenovo A5000 price in India is not yet announced. The phone is expected in a price between INR 12,000 and INR 15,000. Lenovo announced A5000 phone which have 4000mAh battery which supports quich recharging technology.